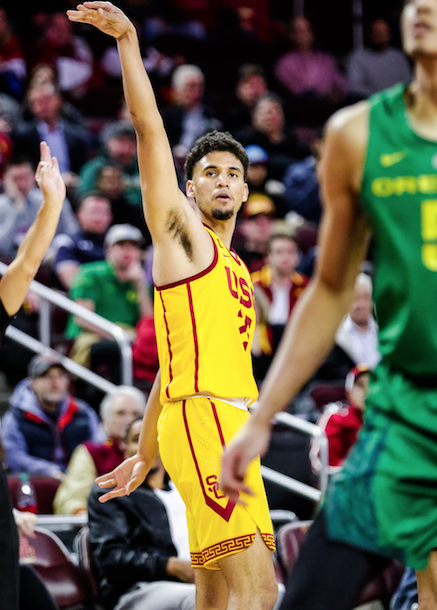 The USC men’s basketball team showcased strong second-half shooting to pull away with a commanding 66-49 victory over Oregon Thursday night at Galen Center. The Trojans came out flat through the first five minutes of the game, scoring only 4 points. Oregon refused to let up on the defensive end, as USC was unable to find good open looks. The Trojans found themselves down 7-4 early into the game. Junior forward Nick Rakocevic established himself down low by scoring the team’s first 6 points. 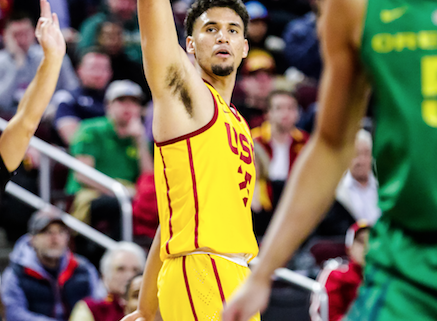 Junior guard Jonah Mathews gave USC the lead as the Trojans recovered an offensive rebound that he was able to redeem for 2 points off of a mid-range jumper, bringing the score to 8-7. Both sides suffered from poor shooting, as they were under 40 percent from the field through 10 minutes. 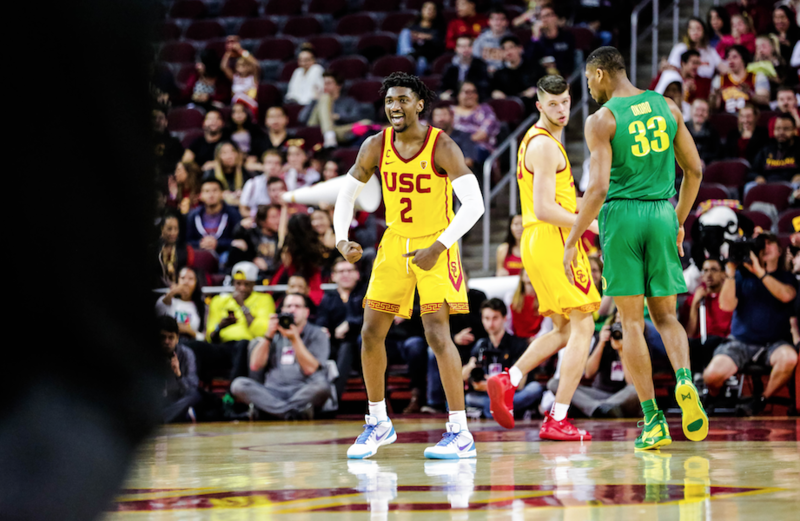 USC continued to lack an inside presence and resorted to 3-point attempts that were not falling. However, strong defense on the Trojans’ end kept them in the game with the Ducks leading, 16-13. 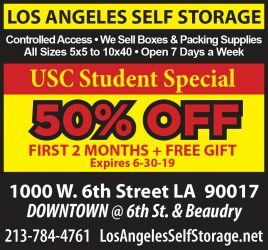 USC slowed the game down and attempted to minimize offensive errors as the first half progressed. Senior forward Bennie Boatwright led this patient offensive attack with 5 straight points to tie the game at 21. USC took a 24-23 lead off of an impressive team play in transition. Mathews had a steal and brought the ball down the court, where he found junior guard Derryck Thornton at the block. Thornton completed a 3-point play following a commanding lay-up as the first-half clock wound down. At the end of the half, USC held a 30-25 lead. Senior guard Shaqquan Aaron opened scoring for the Trojans in the second half with a corner 3-pointer. 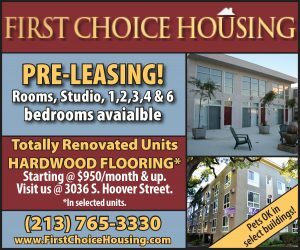 Following this, the Ducks played aggressive defense, pressing USC in the back court and double-teaming Trojan shooters. However, USC still extended its lead to 37-29 with 15 minutes remaining in the game. USC manipulated Oregon’s defensive strategy to their advantage by finding the unguarded man. Rakocevic capitalized on these opportunities with an alley-oop that excited the crowd. He went on to score from short distances several more times, lending the Trojans a much-needed inside presence. Boatwright further extended USC’s lead with a three. The offensive outburst from Rakocevic and Boatwright was met with equally strong efforts on the defensive end. The Trojans continued to force missed shots and held the Ducks at 29.5 percent shooting. USC refused to let up and continued to counter all of Oregon’s points. Rakocevic and Boatwright led the offensive charge for the Trojans with efficient games. Rakocevic finished with 17 points on 72.7 percent shooting, while Boatwright scored 20 points, including 6-of-9 from beyond the arc. At the end of the day, it was a true team win, with strong defensive efforts and 20 assists offensively. The Trojans will face Oregon State in their final home game on Saturday at 3 p.m. The Beavers currently rank higher than the Trojans in the Pac-12 standings, but a win would allow USC to keep pace with the rest of the conference.